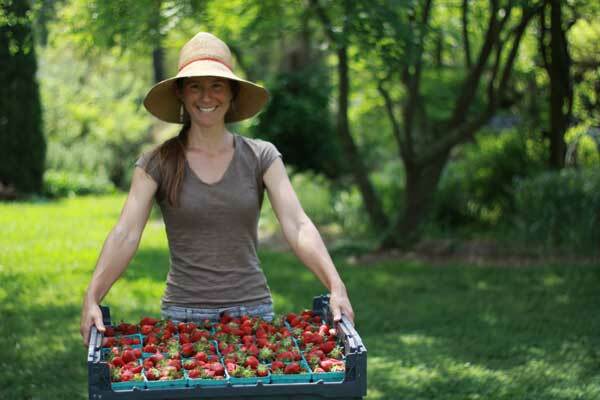 The Edible Agriculture Tour is headed for Downtown Atlanta. 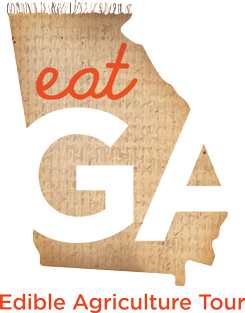 Join us on Thursday, April 24 for EAT GA at the Sweet Auburn Curb Market! Come meet and EAT with your favorite Sweet Auburn Curb Market restaurants as they create special dishes to highlight the best of Georgia's locally grown produce. While you're eating well you'll be doing good! A portion of the proceeds will be donated to the Atlanta Community Food Bank. The oldest public market in the city, the Sweet Auburn Curb Market was established in 1918 as an outdoor marketplace, and was an immediate success. In 1924, the Women's Club of Atlanta raised money to build a permanent building for the market that at the time, stood at the geographic center of the city, and was originally called the Atlanta Municipal Market. After undergoing renovation in the 1990's, the Market has operated under the name Sweet Auburn Curb Market for the past two decades as a place for Atlantans to buy specialty foods, produce, baked goods, meats, and more. Grindhouse opened its doors in 2009. In its first year in business, Grindhouse was named Best Veggie Burger in Atlanta by Creative Loafing, and won the highly coveted Chomp & Stomp Chili Competition. Years later this original location is still flipping out regulars and newcomers alike with some of the best burgers in town. Grab a seat at the counter, check out a flick, and enjoy a classic. And, don't forget to try the fries. Ridiculous. Owner Shane Poda knows what he's doing, and you don't have to be a carnivore to enjoy all the options he cooks up. "Home of the Gourmet Frank" Founded by the mad genius behind Atlanta's first food truck, Yumbii, Carson Young is giving The Curb Market a bit of a pedigree for those who frequent the mobile food hotspot. The names of most eateries tell you something about what they serve. Not YumDiggity. They decided to buck tradition and name themselves after the noise their customers make when they first bite into one of their delicious gourmet hotdogs or sausages. YumDiggity offers a variety of franks, brats and sausages all free of MSG, fillers, artificial flavors and animal by-products and topped with your choice from an elaborate spread of toppings both traditional and unique. Born out of a love of smoked meat, Sweet Auburn Barbecue is the story of three friends coming together and fulfilling their dream of learning the art and secrets of delicious barbecue. Pairing traditional southern flavors with hints of modern eclectic influences, they created dishes that are reminiscent of classic home cooking, yet have a sophisticated twist. With their award winning barbecue and wings, Sweet Auburn Barbecue has been welcomed by the community, growing to include two fully functional mobile food trucks and a versatile and thriving catering business, in addition to the permanent home in the Curb Market. This family run creperie has one goal in mind: to bring a small piece of Paris to your doorstep. With a weekly revolving menu of one sweet and one savory crepe, as well as a build your own option, Le Metro Creperie has something for everyone. Oh, and did we mention, everything is completely gluten free!? "Manger"! Miss D's New Orleans Pralines is where it's at. Have a hankering for something sweet? Something salty? How about both? That's the beauty of Miss D's boutique biz that welcomes visitors with a smile (and a sample). Miss D (aka Dionne Gant) is originally from NOLA, so she's legit, and she brings with her the recipe for some of finest treats the Big Easy has to offer. Rawesome is awesome according to the rumor mill, and ya know what, the rumors are right. Owner Chantel Jiroch started with a passion for healthy living and transformed it into one of the most popular places to refresh and refuel at The Market. Rawesome specializes in the holistic and delicious, serving up made-to-order salads, fresh squeezed juices, and nutritious smoothies to sooth and satiate body and soul. Sparta Imperial Mushrooms grows gourmet and medicinal mushrooms year-round. 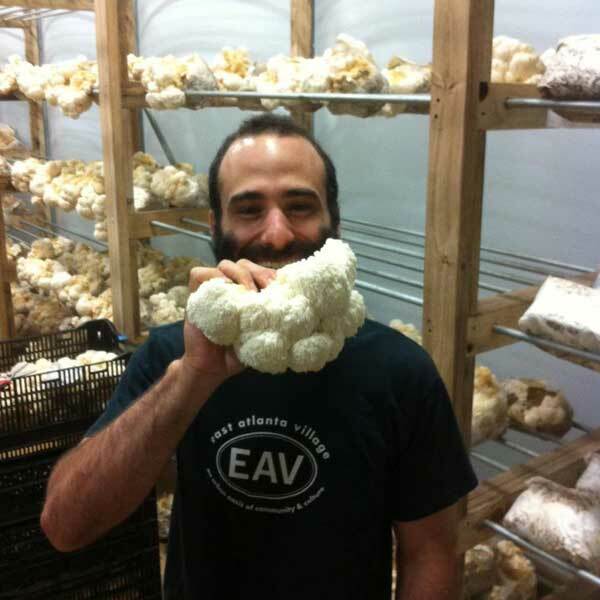 Located in Sparta, GA, the farm specializes in shiitake, lion's mane and oyster mushrooms. Our mushrooms are cultivated on hardwood, and inoculated with farm-made spawn on GA organic rye grain. Lion's Mane mushrooms are native to the southeast, and have a texture like lobster or crab meat. They are best know for boosting the immune system and nerve regeneration, particularly in the brain. Steve and Mandy O'Shea own and run 3 Porch Farm in Comer Georgia. The farm is Certified Naturally Grown, solar powered, and it's vehicles are bio-fueled. We grow beautiful flowers with only organic inputs and do design work for weddings, restaurants, and events, with a focus on educating our clients about the significant benefits of purchasing local flowers. We also grow fruit with the same practices and blend it with local honey to create wonderfully healthy and delicious popsicles that we call HoneyPops. We aim to create a livelihood that completely functions in line with our ethics. To be responsible and considerate of how our actions affect the natural world, our fellow farmers and customers, and the local economy. 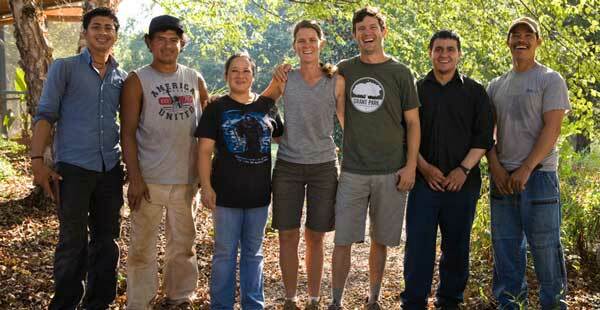 At the core of our farm, is our friendship and our desire to make positive contributions in the world. Woodland Gardens is a certified organic vegetable, fruit and cut-flower farm in Winterville, Georgia, just outside of Athens. Established in 2000, we specialize in highly diverse annual production, and we grow over 80 different fruits and vegetables. Our focus is specialty production for chefs and market.